Jenny Stafford is a bookwriter, lyricist, and playwright. Her lyrics have been heard on Broadway (Cirque du Soliel’s Paramour, Original Broadway Cast Album available), and she holds an MFA from the Graduate Musical Theatre Writing Program at NYU’s Tisch School of the Arts. Her works include The Artist and the Scientist (with Brandon Anderson, produced Off-Off-Broadway at CAP21), Prodigy (workshop productions through Collaborative Development Project, Two Rivers Theatre Company, and Indiana University), To Have and to Hold (produced by Prospect Theatre Company and Barrington Stage), Cinderella (commissioned and produced by the Spotlight Youth Theatre), Two Bugs are Better Than One (commissioned and produced Off-Broadway by the New York City Children’s Theatre, all with Willem Oosthuysen), The Star Child (with Sarah Underwood and Josh Freilich, produced at French Woods), Awakening (with Joel B. New and J. Oconer Navarro) and Beating a Dead Horse (winner of the 2017 Reva Shiner Comedy Award, produced at the Bloomington Playwrights Project). Her work has been featured at the Lincoln Center Songbook Series (The Lyrics of Jennifer Stafford), Prospect Theatre Company, The National Alliance for Musical Theatre Songwriter Salon, the New York Musical Theatre Festival, 54 Below, Ars Nova, Joe’s Pub, and numerous other NYC venues, including multiple inclusions in William Finn’s Ridiculously Talented concert series. Awards include the Reva Shiner Comedy Award, finalist status for the Yale Institute for Music Theatre, the Eugene O’Neill Musical Theatre Conference, and the Ronald M. Ruble New Play Competition, as well as second prize in the McLean Drama Company Playwriting Competition, and the Paulette Goddard Award. She’s been an Artist in Residence at Goodspeed Musicals, CAP 21, the Village Theatre, the Ross Ragland Theatre and the Berkshire Playwrights Theatre. Dramatists Guild member. 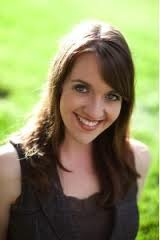 Jenny is also a prolific teaching artist, teaching with the Metropolitan Opera Guild (where she was awarded the title of “Master Teaching Artist”), the New York City Children’s Theatre, Trinity Music NYC, and Colorado Christian University. She has been a guest lecturer at New York University, Baruch College, Indiana University, and Santa Clara University.